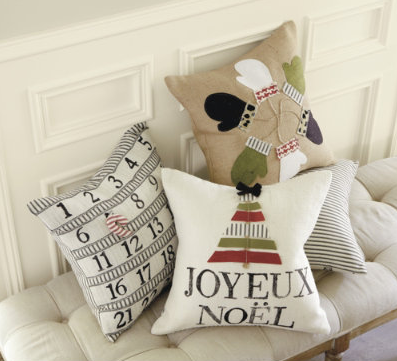 If you love Advent calendars than you might have fallen in love with the Ballard Designs advent pillow. But you might not have fallen in love with the $70 price tag or you may not have fallen in love with it quickly enough because they are all sold out online. But if you are in a DIY mood, Julie has you covered. 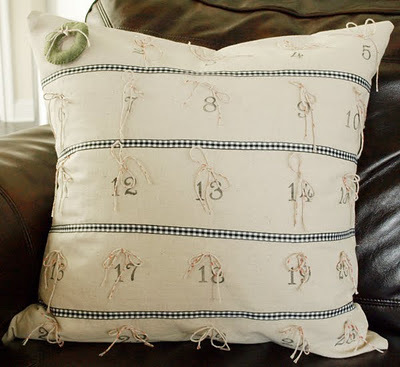 She created an advent calendar pillow tutorial so you can make one of your own. She makes her pillow start to finish, but even if your sewing skills are limited you could start with a plain pillow cover and just add the advent details. You can check out her DIY Advent pillow over at Less Than Perfect Life of Bliss. And you can see more fun advent calendar ideas HERE.